When Tesla boasted that its Model 3 batteries were “the highest energy density cells used in any electric vehicle,” it may or may not have known that this would hold true for years to come. I suspect they knew very well because Panasonic made it very clear that they had already achieved something that every battery competitor is trying to do – reduce the amount of cobalt used in each cell. By way of a little background, cobalt is an expensive metal that usually found as a compound, not as a pure metal like gold or silver. The price of cobalt today is about 300% of what it was just three years ago, and much of that can be attributed to the rise in Li-ion battery production. Li-ion was primarily used for mobile batteries, but it is now part of the realm of EVs, which obviously consume a lot more of the shiny metal. With the EV market growing rapidly, the demand for cobalt is only going to increase. The only problem is, most of the world’s cobalt is found in the Republic of Congo – about 63%. And that could go up to as high as 73% by 2025 with mining expansion plans by companies like Glencore Plc in the offing. The bulk of that demand is expected to come from the proliferation of electric vehicles and the need for more batteries. 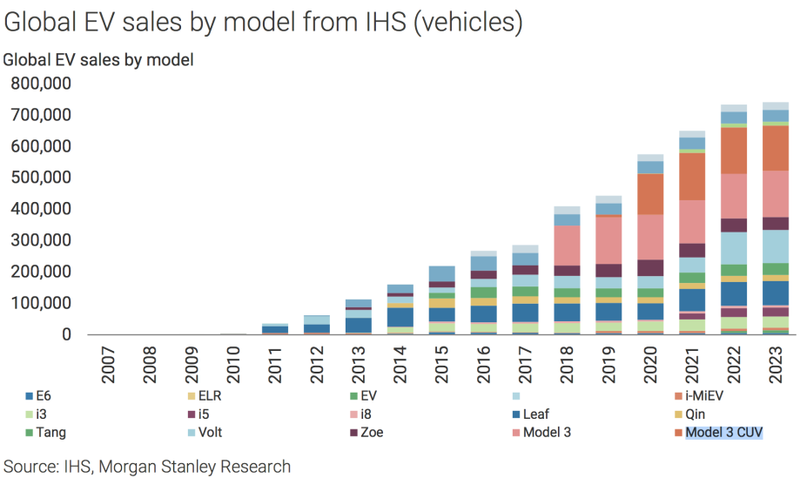 Since Li-ion is currently the only truly viable battery chemistry that can be mass-produced for EVs, both Lithium and Cobalt are going to see a demand explosion over the next decade or so. According to Bloomberg New Energy Finance, the global demand for cobalt could be as much as 47 times what it was in 2017. Against that background, you can see how critical it is for the EV market that the world reduce its dependency on the questionably-sourced metal. I say questionable because there are dark stories about child labor, rife corruption and political turmoil in the country formerly known as Zaire. I don’t want this to be a downer so I’ve got a fun fact for you: did you know that this same nation was the location of the famous “Rumble in the Jungle” fight between Mohammed Ali and George Foreman in 1974? Back to our story. So, now, we have Tesla and Panasonic on one side with an unarguably advanced battery cell that Panasonic says contains even less cobalt than the next-generation NCM 811 chemistry that’s supposed to be ready for mass production this year. Read that again – this year. I emphasize this because once a battery chemistry is ready to be mass produced, it will take several years just to build the infrastructure to churn it out at scale. I’m talking about the kind of scale that will allow Panasonic to make more batteries a year by 2020 than the entire global production of batteries in 2013. That’s 35 gigawatt-hours per year of cells along with 50 gigawatt-hours per year of battery packs. It’s what will allow Tesla to produce 500,000 cars a year by 2020. And there’s also the planned Gigafactory 3 in Shanghai that will start production that year and has an initial milestone of being able to produce 250,000 cars a year. Although there is currently no other company in the world other than Panasonic Sanyo with that kind of capacity, CATL is one company to watch. The company aims to have a 50 giga-watt hour production capacity by 2020, but even this Chinese company recently went IPO was only expected to secure about half of the funding for its 24 gigawatt-hour capacity increase from the IPO. CATL supplies EV batteries locally, and to Volkswagen and BMW, but a large portion of its sales are within China, in the commercial vehicle segment. Another major in this segment is BYD, which aims to hit 60 GWh capacity by 2020, which is good for about 1 million vehicles with 60 kWh batteries. But we have to consider two things: One, battery production increases in China will mostly be consumed within the country, where EV sales are on a steep upward growth slope and Tesla is aggressively entrenching itself with the planned Gigafactory 3. Two, major auto companies in the U.S., Europe and Asia are yet to unveil their full fleets of pure EVs, and that’s going to take several years. 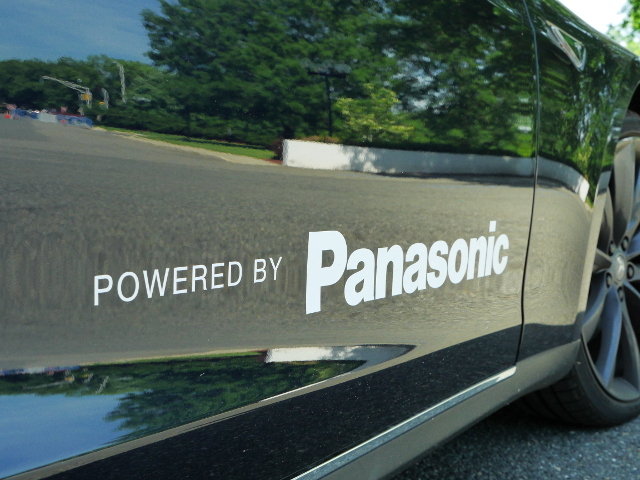 Take those two things together along with the timeline for new battery chemistry development and mass production, and it’s clear that the Tesla Panasonic partnership is going to be the leading team in the EV segment for at least another half decade, if not longer.